This Saturday, the fairies at Shake Rag Alley welcome the public to tour their tiny homes at night! This is a rare opportunity to roam the grounds of Shake Rag Alley and see the fairy homes all lit up! 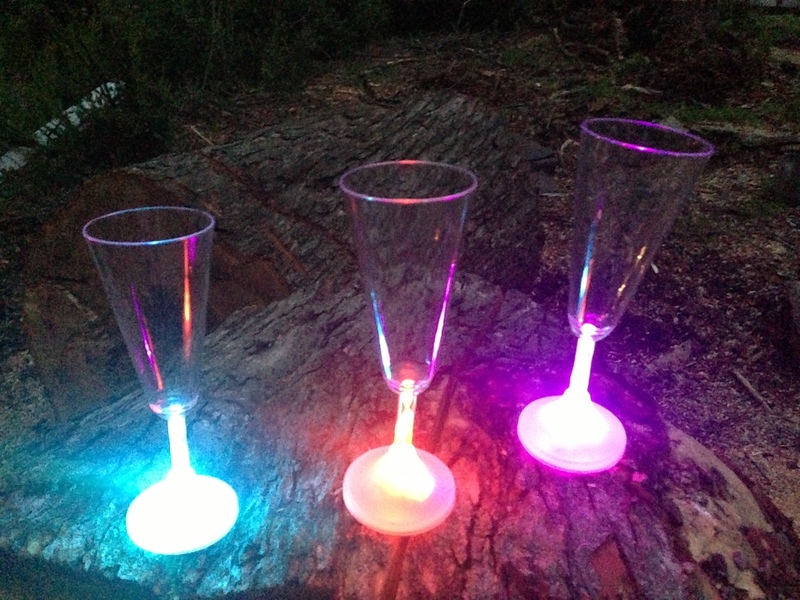 Light your way by purchasing a special fairy cocktail (with or without alcohol) in a light-up champagne flute. Let your drink be your guide. This curious event takes place Saturday night, May 23rd from 8-10pm and is a bonus feature to this year’s daytime Tour of Fairy Homes scheduled for 9am-5pm Saturday and Sunday. Not to be missed is the large gnome home constructed from a stump by Roland Sardeson. Pictures can’t do it justice. It’s large enough for a child to enter and has a rooftop garden. Come join in the Fairy Magic at Shake Rag Alley this weekend. Children 11 and under are FREE. Adults (12 and above) are $5. Extra fees apply for fairy photos (10-noon each day), fairy home building, fairy wand-making, and fairy cocktails. For more information, call Shake Rag Alley at 608-9873292 or visit them online at www.shakeragalley.com. This entry was posted in Entertainment, Family and tagged Mineral Point, Roland Sardeson, Shake Rag Alley, Tour of Fairy Homes. Bookmark the permalink. It will hold two adults if they are comfortable with each other.